The health ministry of the Democratic Republic of Congo (DRC) confirmed on Tuesday an outbreak of Ebola anew that left at least 17 people dead in an area in the country’s northwestern part. The new outbreak marks the ninth time the dreaded virus is recorded in the central African nation. The nation’s eastern Ebola River gave the deadly virus its name when it was first discovered in the 1970s. The last outbreak recorded was less than a year ago which claimed eight fatalities. The health ministry said they are already deploying well-trained human resources who were able to rapidly control previous epidemics. Before the official confirmation, local health officials reported 21 patients showing signs of hemorrhagic fever around the village of Ikoko Impinge, close the town of Bikoro. Seventeen of those patients eventually died. The World Health Organization (WHO) is already responding to the situation as well. Reinforced by the medical charity Doctors Without Borders they dispatched teams to the affected zone and took five samples from suspected active cases. 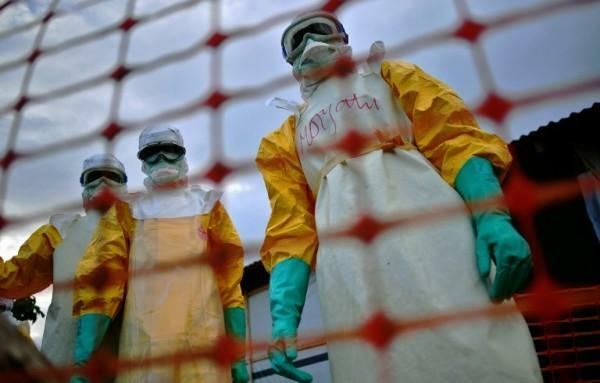 The ministry has confirmed that two of those samples tested positive for the Zaire strain of the Ebola virus. Ebola virus is believed to be spread over long distances by bats, which can basically host the virus without dying, then infects other animals it shares trees with including monkeys. It can spread to humans through infected bushmeat. Despite regular outbreaks every few years, Congo has been registering significantly lower death tolls which officials credit to the population’s awareness of the disease and the capacity of the local medical staff to contain the virus and treat patients. Just two years ago, the worst Ebola epidemic in history ended in West Africa after killing 11,300 people and infecting some 28,600 as it rolled in areas in Guinea, Sierra Leone and Liberia. If humans are immune to Ebola after contracting it ,why don't they only send in health aides they have contracted it and survived and if needed set up training camps for non trained healthcare residents to aide in treating thier loved ones?